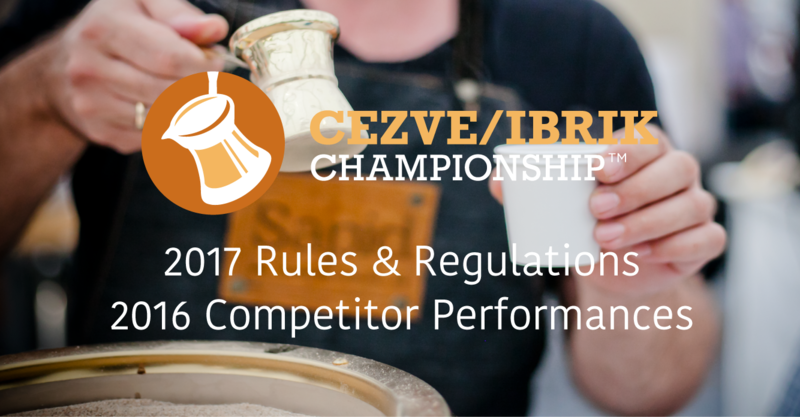 Honoring the tradition and history of one of the oldest forms of coffee preparation is at the very heart of the Cezve/Ibrik Championship. Seeing the varied and modern approaches taken by the nineteen competitors at the 2016 Cezve/Ibrik Championship in Dubai reinforced the positives of embracing the nuances in preparation styles of different cultures around the world. In reflecting the ethos of the competition, and with the intention of making the Championship more accessible, the Cezve/Ibrik Working Group have carefully reviewed the Cezve/Ibrik Championship Rules & Regulations for the 2017 event in Budapest. With competitors’ technical scores improving consistently, the number of technical judges on the Championship stage is being reduced in 2017. New rules to introduce consistency in technical and sensory evaluation of the Simple and Signature Cezve/Ibrik courses are also being introduced. Rules that set out equipment have been reworded, with the intention of ensuring a level playing field for everyone and reducing travel needs. Rules allowing additional stage furniture have been removed, and a standardized sponsor-provided grinder component introduced. A number of rules have been updated to allow for more creativity and easier workflow in the competition, including the re-introduction of flexible course service order. In anticipation of the 2017 Cezve/Ibrik Championship in Budapest, we are excited to share competitor performance videos from the 2016 Championship at Gulfoods in Dubai. Check the Cezve/Ibrik Championship on Facebook as competitor performances in full are released bi-weekly from February 27!